If one day an extra-terrestrial civilization ever visited us, it would probably decide that human beings are a study in contrasts: more than 2.5 billion people all over the world already own a smartphone, while some 2.1 billion still don’t have access to potable water in their homes. But despite the paradox, cutting-edge technology and a resource as basic as clean water are not so far apart today; in fact, the former is managing to provide innovative solutions so that the latter can be more accessible in many places in the world where it is still not possible to open a tap and drink. Currently, there are numerous technological proposals to expand access to drinking water, but they are often expensive or too complex for easy use on the ground. We review here some of the most recent and promising innovations. In large regions of the planet the problem is not the contamination of water, but its absolute absence. According to the United Nations, more than 2.1 billion people live in arid regions that account for 41.3% of all the planet’s land, and it is foreseeable that this figure will increase with the desertification caused by climate change. To alleviate the water scarcity in these areas, there are systems such as fog condensers, but they require large catchment areas, energy sources or complex installations. A team of researchers from the Massachusetts Institute of Technology and the University of California at Berkeley has designed a passive system that extracts water from the driest air by consuming only solar energy, something that is rarely lacking in desert regions. The system is based on a new type of porous material called Metal-Organic Frameworks or MOF. Embedded between a solar panel and a steam condenser, this material is able to collect 100 millilitres of water per kilo of MOF daily in an environment as dry as the desert of Arizona (USA), where the humidity of the air drops to 8 % during the day. A large part of the world’s population lacks access to potable water despite living next to an immense ocean mass. However, the desalination of seawater is still an option of limited utility: the large plants that use filtration systems employing polymer membranes are expensive and inefficient because of their abundant energy consumption. The science of new materials can also offer an alternative solution to current desalination plants. 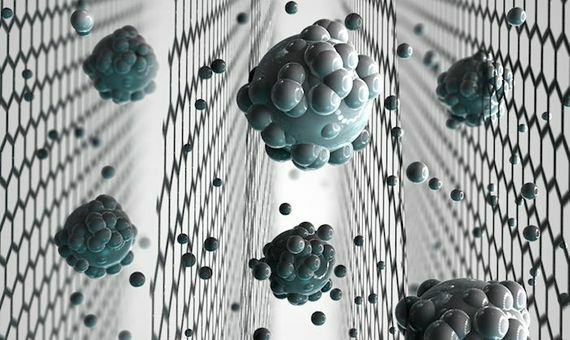 Scientists from the University of Manchester (United Kingdom) have created a graphite oxide sieve that retains the salts, allowing only water to pass through. The secret is in the tiny size of the pores, about 1 nanometre. Water molecules flow easily through it because they form a sort of train by means of their hydrogen bridges; however, the salts cannot pass through because they are surrounded by a shell of water molecules, with a total size exceeding that of the pores. The advantages of the graphite sieve include the possibility of scaling it to any size and with the desired pore diameter, which permits the filtration of any ions present in the water. For the director of the study, materials physicist Rahul Nair, this new technology “will open new possibilities for improving the efficiency of desalination technology,” and will be especially useful in regions of the world where a large desalination plant is not affordable. Of the 2.1 billion people who lack running potable water in their homes, the United Nations estimates that 263 million have to spend half an hour a day going to collect water, while 159 million drink from riverbeds, lakes or other sources that harbour dangerous microbes. 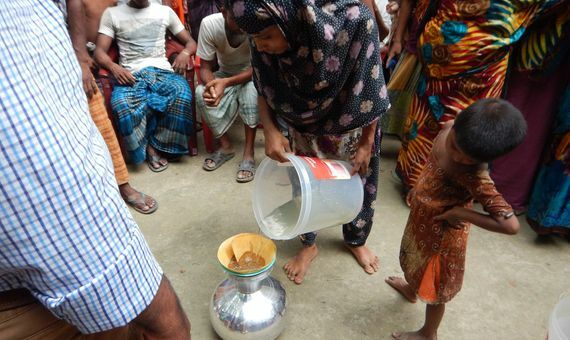 Each year, 361,000 children die from diarrhoea caused by microbiological contamination of water. In 2005, the Swiss company of humanitarian aid products Vestergaard Frandsen introduced a simple but ingenious system, Lifestraw, a plastic tube 22 centimetres in length and 3 in diameter that is used exactly like a drinking straw. Its filtration system eliminates protozoa and bacteria, and the most recent versions also filter chemical compounds and dissolved metals. Each unit can filter up to 4,000 litres of water, enough for one person’s consumption for three years. Lifestraw’s award-winning technology is also marketed in bottle format and in systems for families and communities. All of them have already proven their usefulness in places like Haiti, Rwanda, Pakistan or Kenya, where these products have been distributed to alleviate the shortage of drinking water caused by earthquakes, floods or droughts. 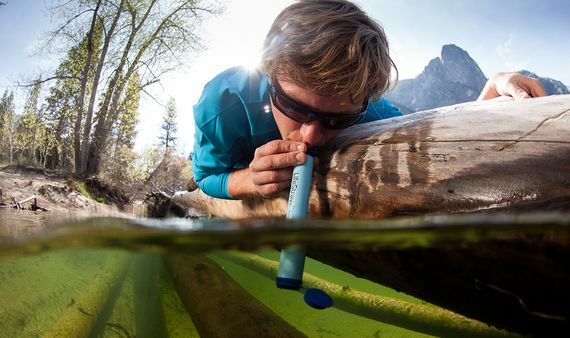 Interestingly, Lifestraw is also a camping accessory very popular in developed countries, as it’s a convenient and inexpensive alternative to traditional water treatment systems. With the income obtained from these sales, the company finances a program to take its filtration systems to developing countries. Undoubtedly one of the most original, simple and practical systems to purify water is offered by the startup Folia Water, founded by chemist Theresa Dankovich and her husband: a book whose pages kill water microbes. The product had its origin in Dankovich’s doctoral thesis, which focused on the development of paper filters with silver nanoparticles that eliminate bacteria, viruses and other pathogens. An essential part of the project was to give it the proper format to facilitate its use in deprived regions. This is how the “Safe Water Book” (also known as the “Drinkable Book”) was born, a book whose tear-out pages are the filters themselves, printed with captions in the appropriate language to facilitate their use and instruct their users on basic hygiene tips. Each book provides germ-free water for up to four years for a single person, depending on usage. Folia Water has already tested its system in many countries in Africa, Asia and Latin America. The objective of the company is to provide access to drinking water to 1 billion people at a cost of less than one cent per day.